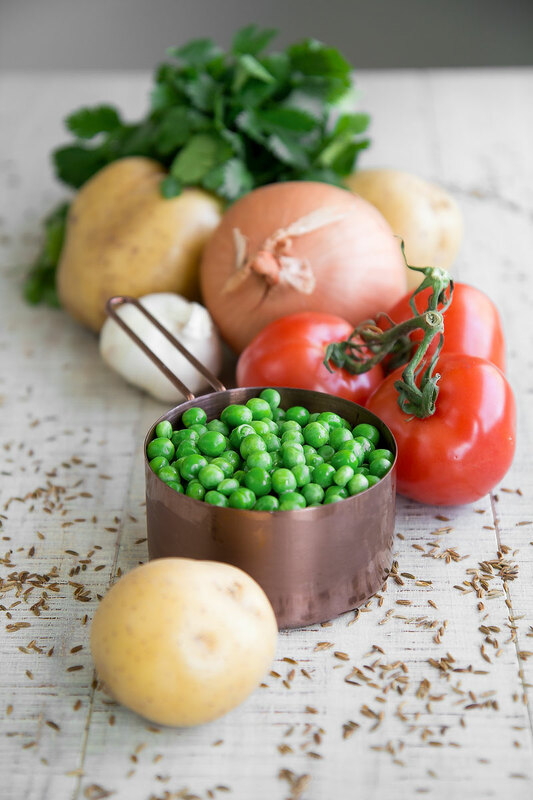 ALOO MATAR RECIPE: potatoes and peas curry - all you need to know! You are here: Home / Gluten Free / ALOO MATAR RECIPE: potatoes and peas Punjabi curry – all you need to know! 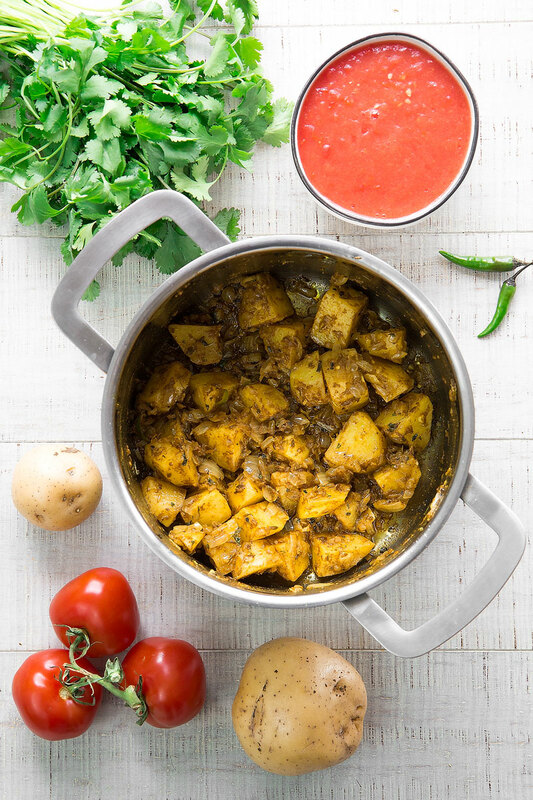 Aloo Matar is one of the several vegan recipes of the Punjabi cuisine: indeed, this cuisine is rich in grains, legumes, potatoes, and other vegetables. Besides the vegan diet, the most popular style of cooking in this region is the Tandoori: a high-temperature technique that involves a specific oven named Tandoor. The Punjabi cuisine also offers copious chicken and lamb recipes, often slow-cooked or roasted. Many recipes require butter, clarified or not. The sunflower oil is also pretty common to season the dishes. PEAS – if available, consider using fresh peas. In this case, pre-boil the peas a couple of minutes then cool them down with icing water to preserve the brightness. Finally, store in the fridge until ready to use. Otherwise, use frozen peas. POTATOES – Traditionally, the potatoes are pre-boiled then broken in pieces by hand, and added into the sauce. Recently a new generation of chefs prefers to cook the potatoes directly into the sauce: personally, I prefer this last technique. 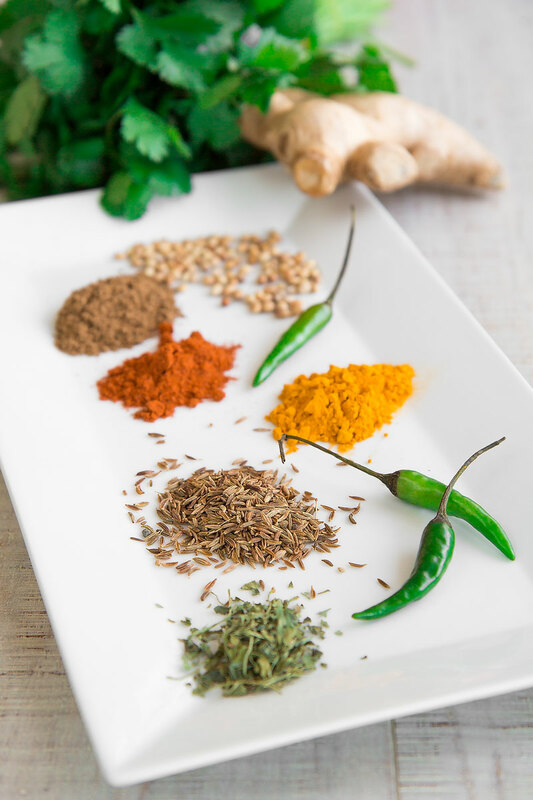 SPICES – the amount of spices I indicated is close to the tradition, but the taste could be too strong for some people: feel free to modify the blend of spices following your preferences. Aloo Matar is often paired with boiled rice and naan. It is also a perfect side dish for Tandoori Chicken and other braised or roasted meats. In case, store Aloo Matar into the fridge up to 3 days, and reheat slowly under low flame until hot. 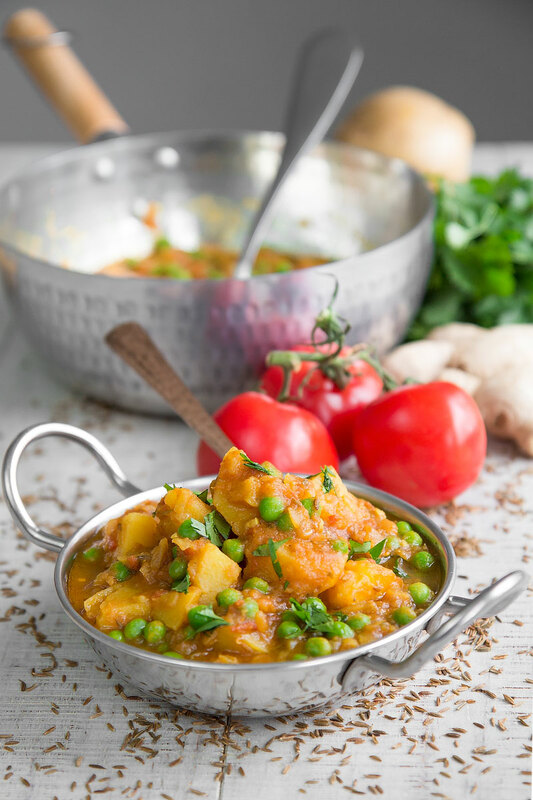 ALOO MATAR RECIPE: potatoes and peas Punjabi curry - all you need to know! 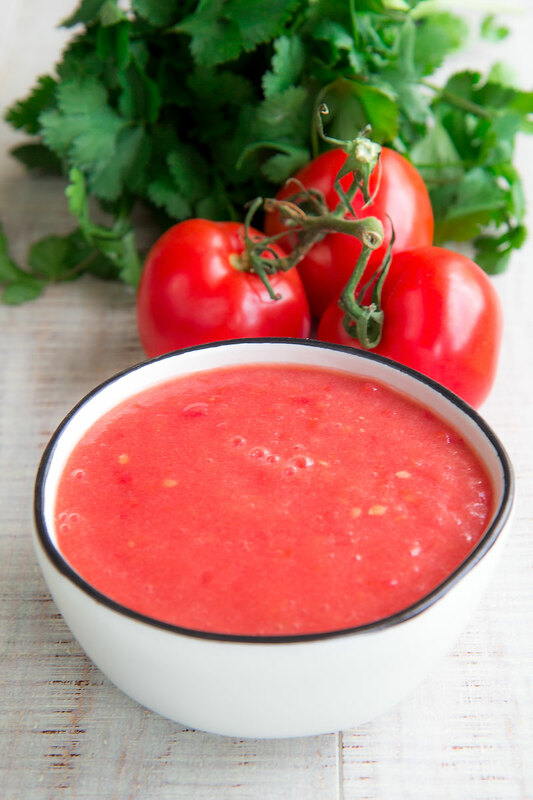 First, cut the tomatoes into quarters, and blend them with a mixer until consistent. Then, peel and chop the potatoes. Now, peel and mince the garlic, the onion, and the green peppers, and pour them into a saucepan along with a splash of sunflowers oil, the cumin seeds, and the asafoetida. Sauté the vegetables until soft and translucent. Then, add the chili pepper powder, the Garam masala, the coriander seeds powder, and the potatoes. Stir well and cook 5 minutes more. At this point, add the blended tomatoes, the fenugreek, the turmeric powder and 1 cup of hot water, and cook covered until the potatoes are almost done. If necessary, add more hot water. Finally, salt to taste, add the peas and keep cooking 5 minutes more. 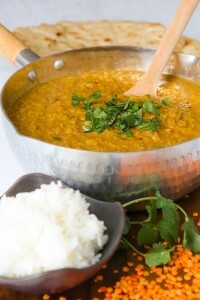 Garnish with coarsely minced coriander leaves, and serve hot. We make this Aloo Matar curry quite often for lunch and dinner meals. 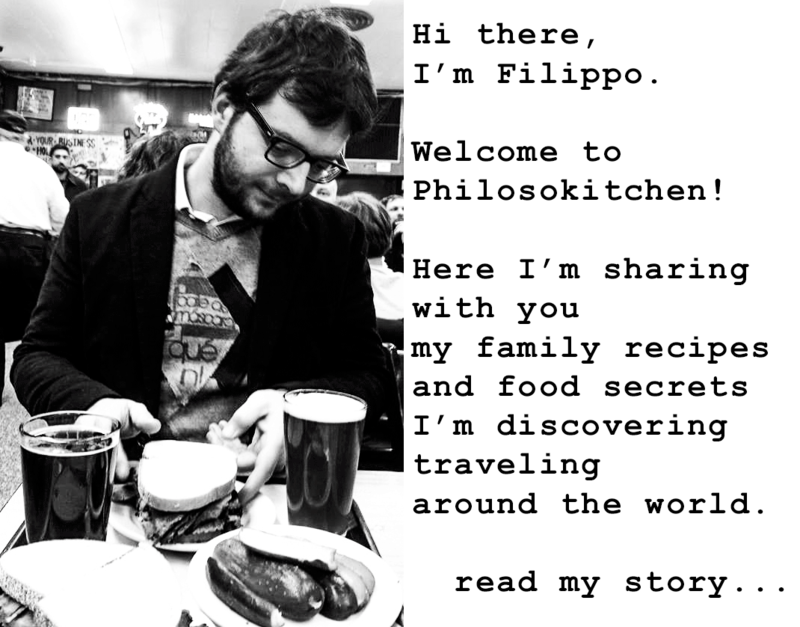 It also tastes great with hot Rotis and Fulkas.